Here are some important tips that can help you revitalize your sales strategy and make your gift shop a success. 1) Offer exceptional customer service. An affable customer representative is twice as important in a gift shop because most of the time people are unsure about what they want to buy; guiding them correctly requires a lot of finesse and friendliness as well as experience. 2) Location is very important. Most of the time people would visit gift shops because they just happen to come across them at the right moment and remembered that they have an event coming up. 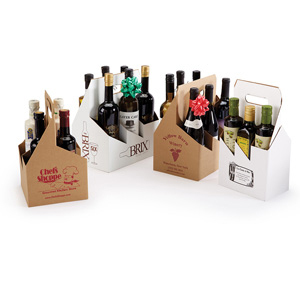 3) Create a specific niche for your gifts. Organic and natural products, specialty chocolate, imported coffee; it doesn’t matter, as long as you are sure that you selected niche or category is going to bring an enhanced customer volume to your shop. However, if you are not that competitive or daring, try maintaining a little section of your shop, which is dedicated to specialty products while keeping other aisles generic. 4) Variety of products and size availability is very important. Remember, if a customer doesn’t find a gift in a specific pattern, theme, or size, you are going to lose sales. For example, after Frozen the animated movie was released, gift shops which stocked up on Olaf and Elsa inspired gifts, made huge profits. Take a hint from them and keep up with the upcoming trends and special events. 5) Price your products competitively. If your customers know that they can find the same product at a lesser price somewhere else, they will be hesitant to shop at your establishment. 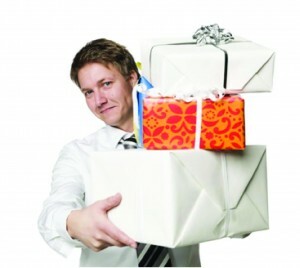 Moreover, retain your customers by throwing in something special with every sale. 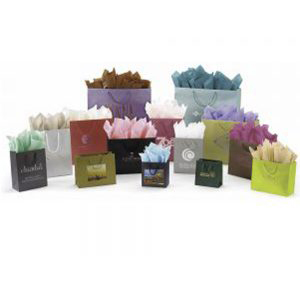 Offer them free gift wrapping service or give them a discount on gift bags with every sale. 6) Invest in good quality shopping bags. 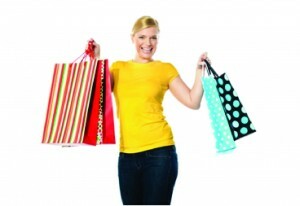 It is very important that you have a wide availability of every kind of shopping bag. 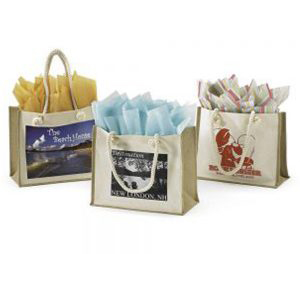 Plastic, reusable, paper or jute bags are excellent choices for gift shops. 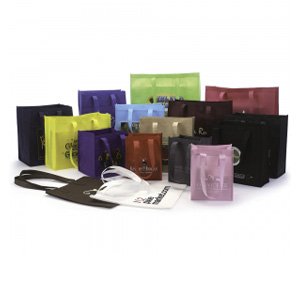 At The Bag Lab, you will find an extensive variety of each type of bags. 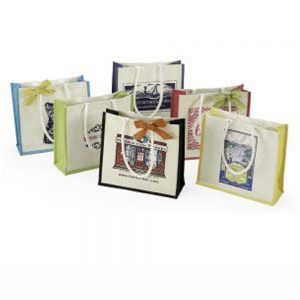 To know more about our collection and services, contact us today and let us help you with designing the perfect bag for your gift shop. It’s that time of the year again! The day when couples bask in the glory of love and happiness is approaching rapidly. If you want to cash in on the profits and marketing perks that Valentine’s Day has to offer, now is the time to take action. Valentine’s Day presents retailers with the opportunity to make substantial profits by selling over-priced candies, flowers and gifts. However, you won’t have to go through all that trouble for a single day. The easiest and most effective way to deal with the enhanced shopper influx on Valentine’s Day is to invest in shopping bags. Many of you might be surprised to hear that the solution for maximizing your retail experience lies in a simple shopping bag. Don’t underestimate the power of good packaging. No matter what the gift is, people invest heavily in over-the-top wrapping papers, elegant printed shopping bags and opulent bows as well as heartfelt greeting cards. 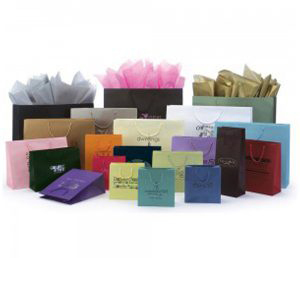 The fastest way to cater to high-spending shoppers is to offer them bright colored printed shopping bags, preferably red, because it is the fastest selling color on this holiday. At The Bag Lab, we have an amazing variety of colors, material and designs that will appeal to the demanding customer base on this Valentine’s Day. 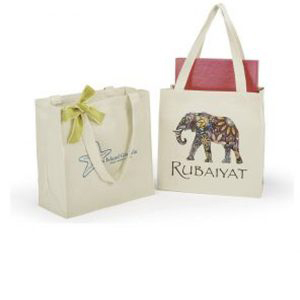 Our amazing online designing tool will help you customize bags for a celebration of love. The best thing about shopping bags is that even after the day has passed, they won’t lose their worth. In contrast to roses by the dozen and merchandise with “I love you” printed on them, shopping bags will continue to remain useful even after Valentine’s Day has passed. So what are you waiting for? 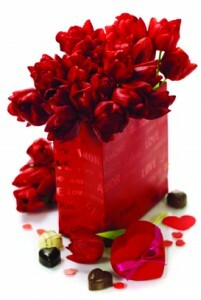 To gain your fair share of profits on this Valentine’s Day, order your shopping bags in bulk today. Contact us today and find out how you can boost your sales. Why Are Your Customers Losing Interest? Are you feeling that your loyal customers are losing interest and are not interested in your regular sales anymore? Are you wondering what has changed? The answer is probably in your packaging strategy. 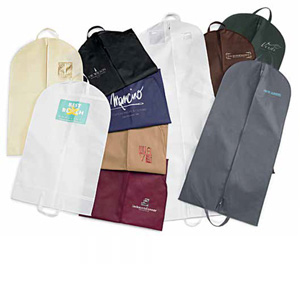 Shopping bags are everywhere, from retail shops to gift shops to doctor’s offices. The cute little bags that you receive at the end of your visit to any retail store makes you remember it more than the shopping experience itself. For the retail owners, who are still using the simple plastic bag, it is important to remember that for your customers the shopping experience ends the minute they step out of your shop. And once they are out, there is no means of advertisement except for that bag they take with them. The people passing by will have no desire to visit your shop if they don’t see something that intrigues or attracts them. 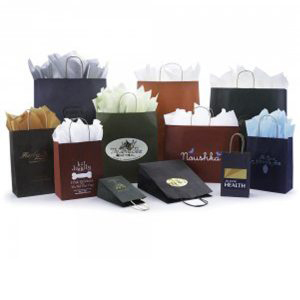 In simple words, when you are packaging a last minute gift for a house warming party or an impromptu barbecue, you are more likely to package it in a brightly colored, good quality bag rather than a simple plastic bag or a brown paper bag. This rule applies to your shop as well. Your shopping bags must be attractive and chic enough that your customers will have no desire to just throw them in the recycling chute. You want them to be used and displayed because they are so chic and fashionable. Retaining customers for your business in today’s competitive world is no joke and if shopping bags can help you do that in an affordable way, you should jump at the opportunity. 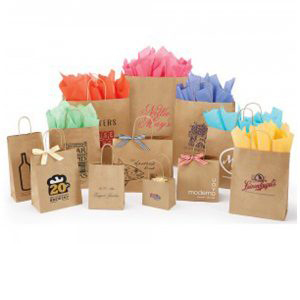 The Bag Lab can help you design shopping bags, which will improve your customers’ out-of-shop experience and instill a renewed interest in your business. Contact us today and find out how you can make that happen! 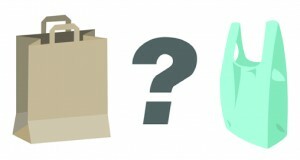 When retailers were asked what kind of shopping bag they preferred for their shops, most of them were torn between paper, plastic and canvas bags. Some of them preferred the versatility and affordability of the plastic bags. Although, people are still unsure about the environmental impact of plastic, if any. They choose them because they are efficient, easy to use and less expensive. On the other hand, advocates of paper bags claim that not only are paper bags suitable for the environment but they are better than plastic bags where convenience is concerned. The bio-degradable material, with which a paper bag is made from, allows it to be used without any guilt on the user’s part. People never preferred brown paper bags in the past because they found them boring, are now focusing on the revolutionized version of paper bag. They are available in a variety of colors and materials. 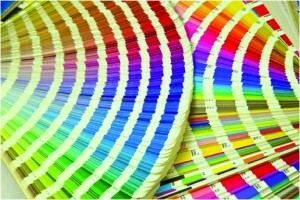 Different styles allow the retailers to customize them based on their business model and needs. The third bag in question is the canvas bag. Most of the environmental advocates and nature-conscious people, don’t like to use plastic bags. 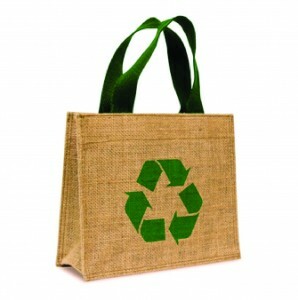 They prefer reusable bags like canvas that can be washed and re-used. 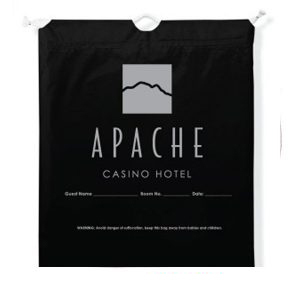 The affordability and convenience is great and whenever the mood for shopping arises, your faithful canvas bag is always there to offer its packaging services. The retailers also love canvas bags because they are a walking billboard, almost forever. 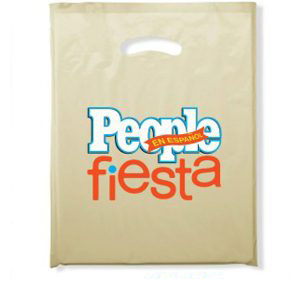 These bags with your name printed on them will be carried for months and months. Amazing way to advertise your store on a constant basis. 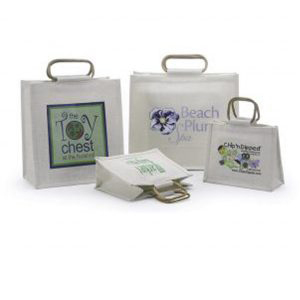 At The Bag Lab, we have an extensive collection of all three varieties of these bags. You will find that our creative and inventive online design tool will help you customize your bag in the way that you desire. To know more about our services, contact us today. 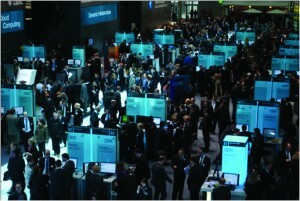 Most of the companies that want to participate in a trade show, think the expense they are allocating for the event is going to be directly translated into profits. However, this is not the case. Successful companies know that trade shows are a way to interact with potential new as well as old customers and give them a sneak peek into their operation and mission. They consider it an efficient way to defend their turf from their competitors. The companies that are more inclined towards building a relationship with their customers on the floor are more likely to succeed than those that are there to just make profit. It is important to remember that a trade show is similar to a game of Russian Roulette. Maybe you will win and maybe you won’t. However, if you set measurable objectives and aims before a trade show and stay true to them, you are more likely to see improvements in your branding. 3) Let your potential buyers test your products. Let them experience your goods. Allow them to touch things and let them play. 4) Don’t get worried about potential failures and let go of the negativity, because it’s not the end of the world. These are some of the guidelines that will help keep you sane and successful during a trade show. Moreover, our team at The Bag Lab can help you be a winner at trade shows. 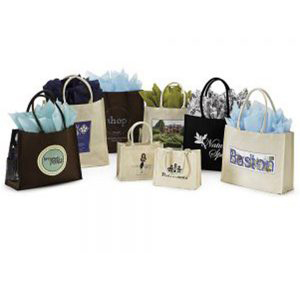 Make a powerful style statement at any event with our beautifully designed, personalized shopping bags with the name and logo of your company incorporated seamlessly into the design. If you want to know more about how you can do that, contact us today! Most of the retailers nowadays are shifting their attention towards reusable shopping bags to save money, and to keep up with the growing popularity of preserving the environment. Most customers are also now considering the added benefits of reusable bags. Not only do they cut down the environmental waste considerably, but they are also quite reliable and durable. A reusable bag can be used for long periods of time. Some of them which are made of cotton or soft fabrics can even be washed. This can help the retailer because with the stores name on the bag and the re-usability, the store owner gets advertising week after week. The fashion industry has also taken notice of the growing frenzy, regarding reusable shopping bags, which has prompted designers like Stella McCartney to launch a stylish and chic shopping bag. Foods also created excitement in New York, when it launched a series of limited shopping bags for a price of $15. No matter the nature of the business, owners are leaning towards a greener option for packaging their products to satisfy environmental protection advocates and especially the public. People are vehemently against billions of shopping bags that cannot be recycled and that cause pollution. Moreover, if recyclable shopping bags are adopted, it could make a huge difference where disposal cost is concerned. Do you know that if only New York stopped using non-recyclable bags, the city could save $250,000 in a year? 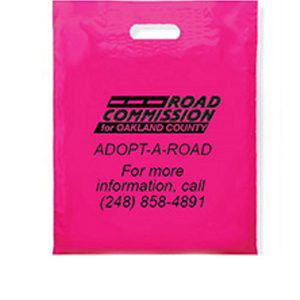 So if you are looking to make a positive change, try investing in reusable bags from our collection. At The Bag Lab, we have a variety of bags which can be designed attractively. To know more about our bags, contact us today. Are Printed Shopping Bags the New Designer Bags? Celebrities and street style bloggers are often photographed with gigantic, brightly colored shopping bags. There was a time when they were only considered a packaging necessity. Nowadays, they are carried around as a status symbol. If you shopped at Hermes, Instagramming your haul with the bright orange shopping bags becomes a necessity. Celebrities like Rihanna, Cate Blanchett and Olivia Palermo are often photographed with shopping bags carrying the names of the biggest and most popular fashion houses in Beverly Hills or the Upper East Side of New York. 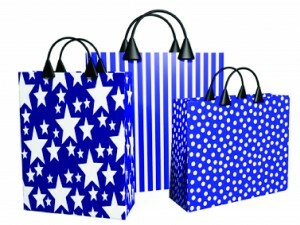 This has fueled the craze to include printed shopping bags into the sales strategy of retail stores all over the country. 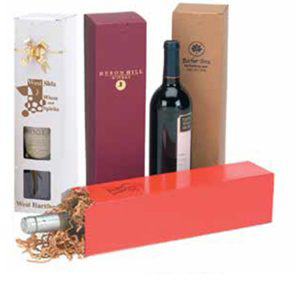 Customers are inclined towards visiting your establishment in a higher percentage if they are attracted towards your packaging and display designs. The need to take part in the ongoing trend is what drives most customers to visit fashionable retail stores that are now offering them a chance to feel included in the stylish trend, regarding printed shopping bags. They have been featured on the runways and high end designers like Gucci, Prada, and Saks Fifth Avenue are producing their statement shopping bags. They are not just a packaging necessity now, but a fashion statement. Many fashionistas are seen lugging around more than one designer shopping bag, in addition to their handbags which only increases their chance of being noticed by fashion bloggers and photographers. If you are seen carrying a fashionable printed shopping bag, it is automatically assumed that you are trendy. If you want to capitalize on this huge trend, The Bag Lab offers you the chance to do so. 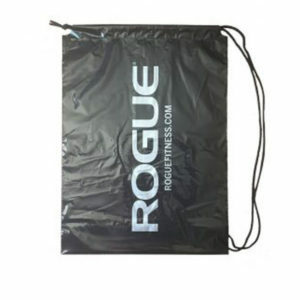 The different varieties of material, styles and colors make it easy for you to customize your shopping bag that will fulfill the needs of your business successfully. To know more about our services, contact us today and start your journey towards becoming a chic business. 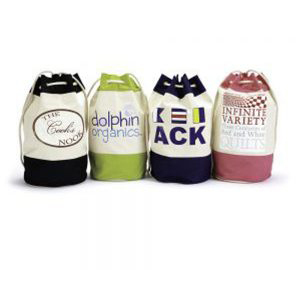 When you make the wonderful decision of designing your own customized shopping bag, the next thing that you’ll wonder is what your design should look like. A little research on the internet and the ongoing trends can guide you and be a huge help, but in the end, it is your creativity and ingenuity that should be reflected in your bags. Hiring a designer is a feasible option for some business owners who don’t have a lot of time on their hands or who can afford to take that route. For others, hiring a professional is a costly endeavor, which they want to avoid. 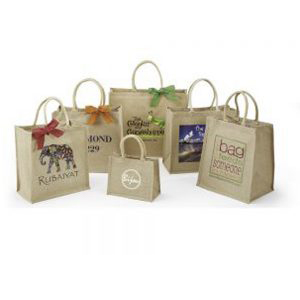 The good news is, after a little research and deliberation; you can successfully design your own printed shopping bags, which is customized to reflect the nature of your business. The Bag Lab is a haven for people who want to design a custom shopping bag that reflects their creativity. 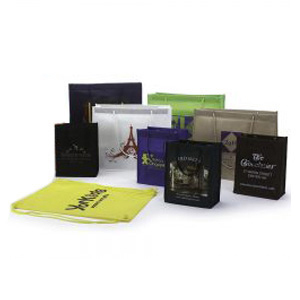 Moreover, it provides the user a chance to incorporate their logo onto the bag for extra effect. Although there is a dedicated team of designers employed by The Bag Lab who can help you in designing the ideal bag for your business, the online design tool is easy and simple. It can be used to design a bag online and the template helps you choose the type of bag, color and design as well as other features. 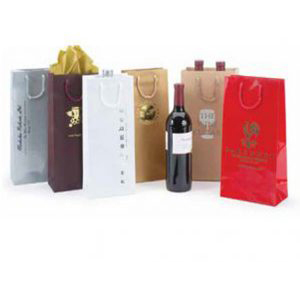 If you want to generate sales and attract customers through your creative and attractive shopping bags, this is your best bet. The Bag Lab guides you through the whole process of your customized bag production. Here, you can get the shopping bag of your dreams, designed solely by you (if you want), based on your needs and preferences. So what are you waiting for? 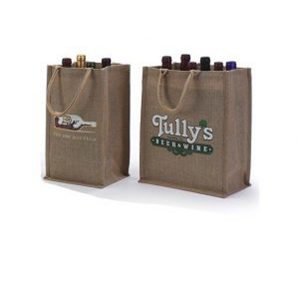 Contact us today and place your order to fulfill your ambitions of incorporating a custom shopping bag into your business and sales strategy.